This hub axle assembly can only be used with Shimano WH-RS10 rear hubs. Fitted to my 7 year old wheels and good as new. same excellent service from SJS. They are generally my go to supplier as they keep stock of a wide range of service parts. Fitted this to my RS20 rear wheel with no problems, should last to get a bit more life out of the wheels. You need to check that the inner cups are not too warn first as you cannot replace these. Could be cheaper but thats Shimanos fault not SJS as they are around the same price everywhere. Hi, will this assembly fit/be suitable for an RS80 (rear) wheel? It measures the same as my existing one. Also, do you do express delivery? Can you get it to me for Saturday?! 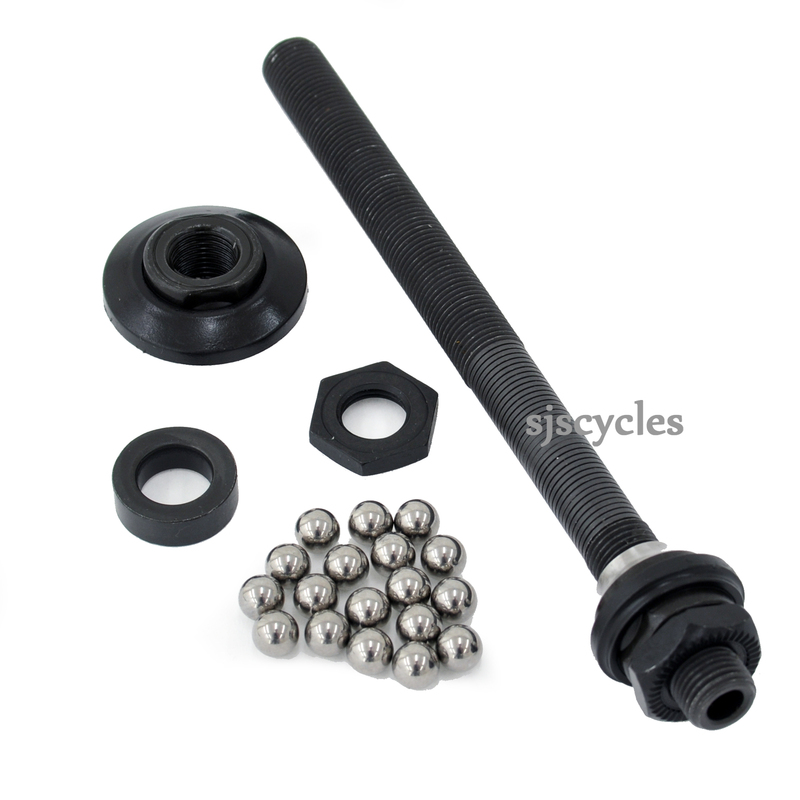 The axle kit you need is different to this one, the length may be the same but the cones and locknuts are a different shape. Without knowing exactly which version of the RS80 wheel it is you have (there are 3) I can't suggest an alternative either I'm afraid. Our express delivery service is only a next weekday service so we are not able to do Saturday delivery I'm afraid.